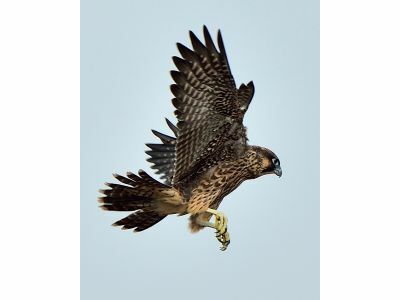 One of the four young peregrine falcons was found dead in August near Bronson Methodist Hospital. The falcon died of trauma after a high speed crash. The bird was likely distracted after swiping a pigeon which was still clutched in its talons.